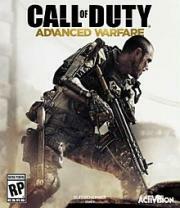 Call of Duty: Advanced Warfare envisions a powerful future, where both technology and tactics have evolved to usher in a new era of combat for the franchise. Power Changes Everything. Probably the first Call of Duty game that got a little too big for its britches. The advanced mechanics were fun, but I think overall made the game have less staying power. fun multiplayer. press F to pay respects.